A compact stick bag perfect for carrying just the essentials. 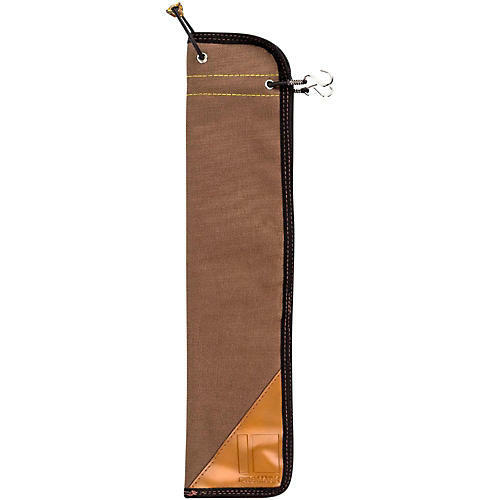 The Sliver Essentials Stick Bag is part of a high-quality line of stick bags designed with the gigging musician in mind. Made from durable, weatherproof ballistic nylon and synthetic leather, this bag is built to withstand the wears of the road both on and off stage while allowing drummers to travel in style. The SESB features metal hanging hooks and a leather tension rod eyelet to keep the bag secured to a floor tom while playing. With enough room to fit four pairs of drum sticks comfortably, this bag allows gigging musicians to travel with the essential tools for any gig without extra trips back to the car.